Deliver the right message, to the right user, at the right time, using Tapdaq’s powerful promotion technology. Drive installs for other applications in your portfolio using cross promotion campaigns. Control how many times a user is shown an ad with frequency capping. Set up new promotions any time, with our intuitive self-serve dashboard. Ensure ads aren’t shown to users who already have the app installed using deep links. Analyse detailed data on your acquired users using your existing attribution tool. 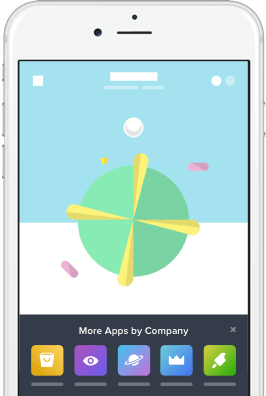 Utilise full screen interstitials and and customisable native ads in your promotions. We provide promotion data in real time, tracking every impression, click and install on an ad format and country level. 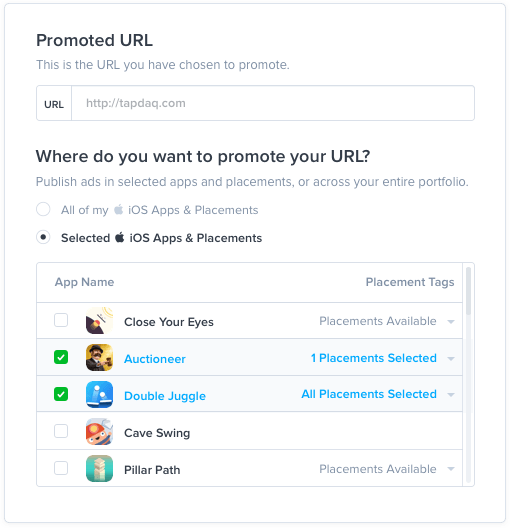 Tapdaq enables you to promote any URL of your choice, such as a business website or App Store review page. Assign an eCPM value to your cross promotion campaigns, enabling them to fit seamlessly within your mediated waterfall. 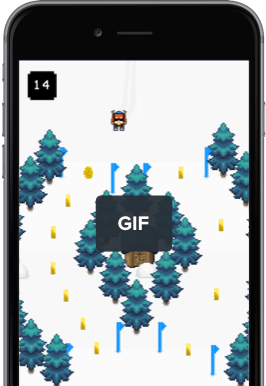 Tapdaq supports full screen static and GIF interstitials, as well as beautiful native ad templates. 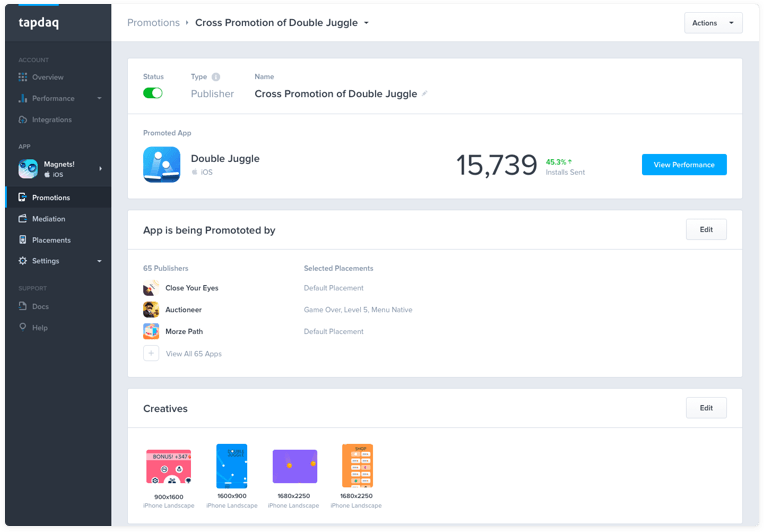 Grow your app portfolio using Tapdaq’s native cross promotion ads. 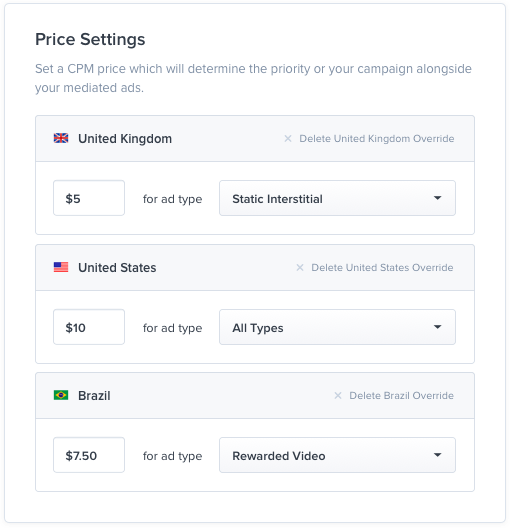 Use static and GIF interstitial ads to drive higher conversion rates on your promotions. If you’d like a tour of our dashboard and our latest features, then please enter your contact details and a member of our team will get in touch right away. Use our demand source debugger to ensure your integration is watertight before launch. Take control of resource usage within your application, with publisher controlled ad caching. Strong global performance including the US, Europe and Asia. Use placement tags to control your ad serving right from our dashboard. Turn on and off demand sources and ad formats around your app without updating your SDK. Add multiple users to your Tapdaq account, using our user management feature.